Looking to spend more time with Christ? 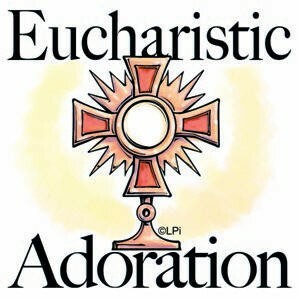 Please join our Eucharistic Adoration Ministry and spend time with our Father, one on one! Click here for CHAPEL SCHEDULE and sign up for a time most convenient for you. This is one of the most worthwhile and rewarding ministries our Parish has to offer. What an amazing way to pursue your faith and to enrich your heart.